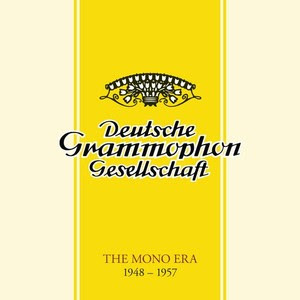 Slower even than one-horse EMI, Deutsche Grammophon was the last label of consequence to adopt stereo recording in the late 1950s. Its circumspection is, in retrospect, comprehensible. In austerity-minded Germany, a second living-room speaker would have been deemed an anti-social luxury and DG’s mono quality was, by any criterion, world-class. Under the leadership of camp-survivor Elsa Schiller, DG had buried its Nazi past beneath a blaze of new talent and high performance. The DG represented in this massive box of rarities is a label under post-War reconstruction, fascinating in its rigour and frugality. This is DG in the age before Herbert von Karajan. The pale yellow covers are often plain and the interpretations unflashy. Several of the artists are unfamiliar, buried by the oncoming celebrity avalanche, and the repertoire is relatively safe, with an emphasis on Mendelssohn, retrieved from Nazi oblivion, but no hint yet of Mahler. The audio quality is exemplary and the house style feels secure. Elsa Schiller knew her market. Two conductors presided in pre-Karajan Berlin, Wilhelm Furtwängler at the Philharmonic and the Hungarian Ferenc Fricsay at the American-funded radio orchestra. For gossamer string playing, Fricsay’s orchestra often outshines the Berlin Philharmonic. A pair of cello concertos, Haydn and Schumann, with the Italian soloist Enrico Mainardi, conducted by Fritz Lehmann, will serve to prove my point. Lehmann has faded from musical memory and Mainardi would nowadays be considered underpowered, placing serene beauty above muscularity. Music lovers were spoilt for choice of cello styles before stereo imposed a louder homogeneity. Some of these mono retrievals, unheard for yonks, are quite indispensable. Karel Ancerl conducting the Shostakovich 10th with the Czech Philharmonic just 20 months after its Moscow premiere. The Leningrad Philharmonic playing Rachmaninov with Kurt Sanderling. Maria Stader and Rita Streich singing opera arias. The first Amadeus Quartet recording. A tender-voiced Dietrich Fischer-Dieskau singing Brahms valedictions. All were Schiller discoveries, her hallmark artists. The newbies recorded alongside such terrible old Nazis as Elly Ney, Wilhelm Kempff and Paul Van Kempen, for such was the foundation of the post-war German federal state, but the diversity of pianistic styles – from Sviatoslav Richter to Monique Haas – expunged the past more effectively than any past strictures. A fraction of these recordings – Haas’s Ravel, Haskil’s Mozart Furtwängler’s Schubert G major – survived into the stereo era, but most are dazzling rediscoveries. I don’t think I’ve ever heard a more vivacious account of Mendelssohn’s Midsummer Night’s Dream than Fricsay’s and you’d need ears of cold steel to resist Fritz Lehmann’s account of the Brahms German Requiem. Impossible to imagine that technology pushed such elysian performances into a closet. Here they are, revived on 50 CDs, another medium that is now heading for obsolescence.